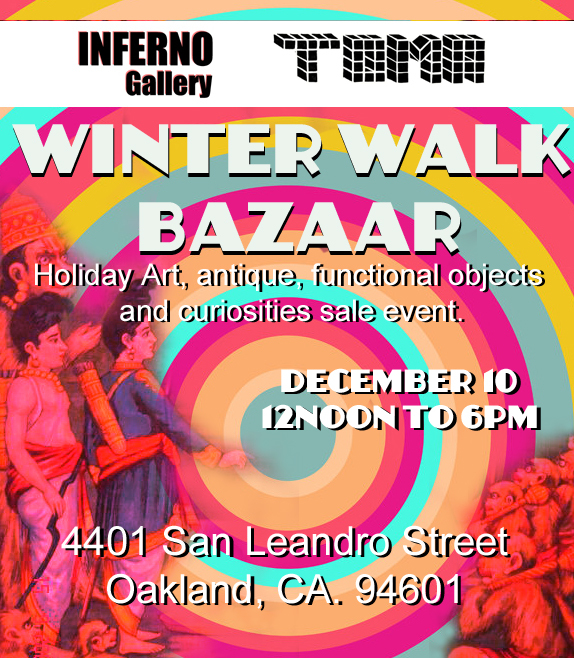 INFERNO and TOMA Galleries will have our doors open for our Winter Walk Bazaar! Forget the typical consumer fare that has no soul and ends up on the garbage heap. Give a unique gift this year! 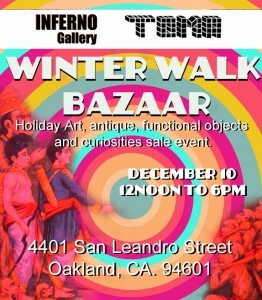 Also Roll-Up and Rebel Bikes 510 will be holding a charity give-away for local Oakland kids! We provide acquisition services, consulting and appraisals for personal collections and businesses. Our studio services include Art restoration and commissions for all manner of art including period reproductions. Please email us here.